Effective recall is essential to any practice—ensuring that patients return for your care and prescriptions. Our practice experienced a major boost in recall after we started using Prime Nexus℠, an intuitive patient relationship management system that sends text messages and e-mails, and makes automated phone calls to your patients reminding them they are due for an exam. 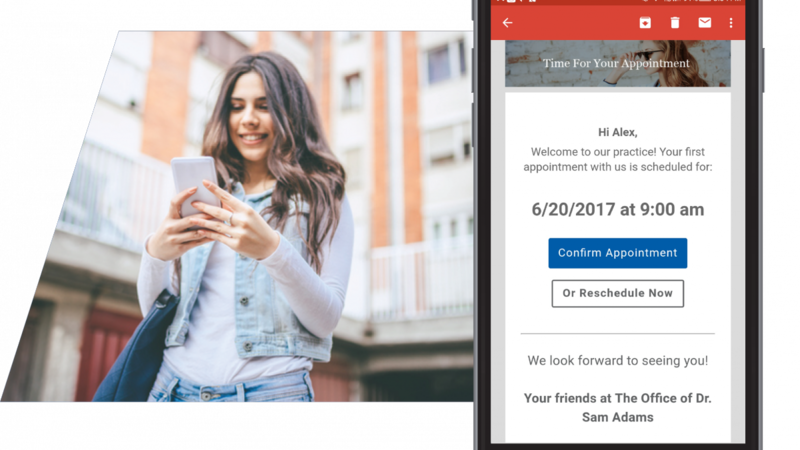 To increase the likelihood that patients will return to your practice for their next appointment, you can set Prime Nexus℠ to automatically send text messages or e-mails thanking patients for their recent visit and requesting their feedback via a patient satisfaction survey. To help spread the word of patients’ positive experiences, the system can invite happy patients to post reviews on Yelp, Google and other popular review sites. Prime Nexus℠ makes it all so easy and expedient. Prior to implementing Prime Nexus℠, our staff used to make all patient reminder phone calls manually. We found that most patients didn’t answer their phones, nor listen to the voicemails we left for them. Often, we found ourselves playing phone tag and trying to figure out who on our staff left the most recent message for the patient. Prime Nexus℠ saves our three-location practice an estimated 40 hours of staff time per week. This is time we used to devote to making phone calls to remind patients of appointments or let them know their glasses or contacts were ready for pickup. Now we have more time to verify insurance information prior to the appointment, which has led to a faster patient check-in process. We also have additional time to stay current with other administrative tasks, such as filing and scanning. The result is our practice is running more efficiently. One of the greatest advantages of Prime Nexus℠ is its seamless integration. The system syncs with our practice management system, OfficeMate, to capture information about which patients are due for or have upcoming appointments. Prime Nexus℠ then automatically e-mails, texts or calls those patients. If I open an appointment that has been confirmed, I see a note indicating whether the appointment was confirmed via voice, e-mail or text. This information reassures our staff that the patient knows they have an appointment with us and plans to keep it. U.S. consumers now spend an average of five hours a day on mobile devices. It’s no surprise that 90 percent of text messages are read within three minutes. When a practice can communicate with patients on their terms, it’s a great advantage. Not only are we reaching patients in a way they prefer, but we are giving them the ability to make an appointment any time of day. It used to be that last-minute cancellations required our staff to call patient after patient, until someone was found to fill the open slot. But now, with OpenSeat from Prime Nexus℠, texts and e-mails are sent within moments to patients waiting for an appointment. We then give the open slot to the first person to respond. It’s easy for patients and ensures we fill any gaps in our schedule, thereby maximizing our revenue. 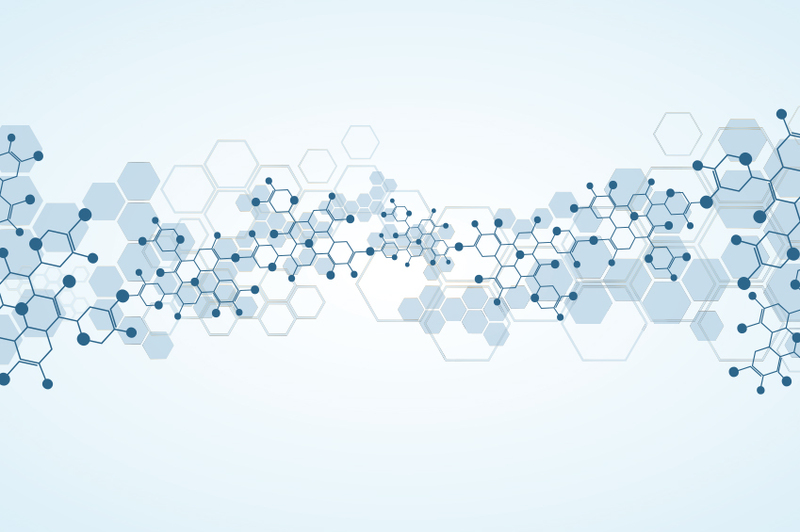 Prime Nexus℠ can also boost a practice’s marketing capabilities. From time to time, we use the technology to send messages to our patients about upcoming sales and to remind them to use any remaining flex-spending account dollars before the end of the year. Prime Nexus℠ is an excellent tool that helps our practice communicate all our marketing messages. With today’s constantly-connected patients, it’s important to keep our practice top of mind throughout the year, not just when patients are due for their exams. Prime Nexus℠ helps us accomplish this—easily and efficiently. Kristi Yatsko is the office manager of Eyecare of the Valley, a three-location practice in the Philadelphia, Penn., metropolitan area. 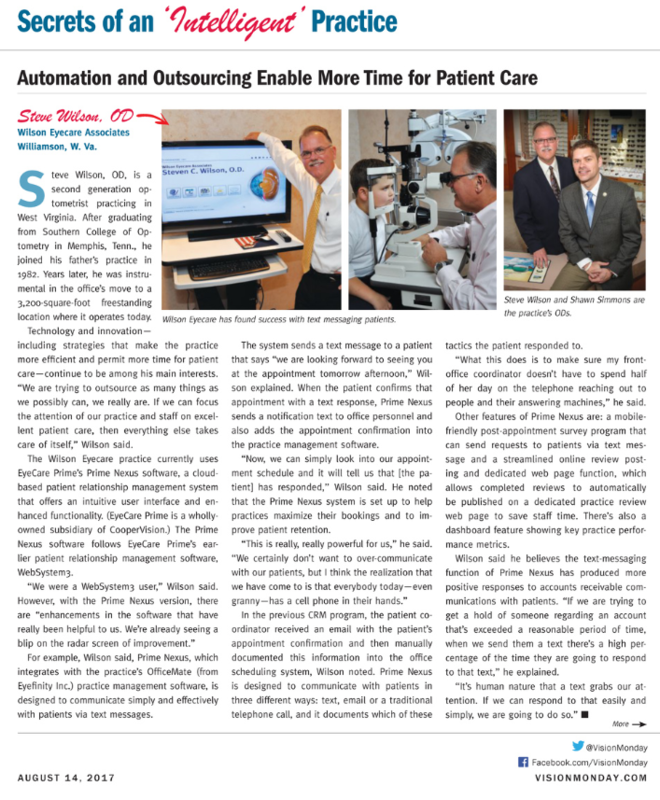 Read about one doctor's experience with switching from WebSystem3 to Prime Nexus. Originally published on Vision Monday. Solo practice can be challenging, particularly in a rural area, as mine is. Granted, we all have our own preferences, but the following pointers have proven valuable to my practice. I hope at least one of them can be of value to yours. Even if your practice is fairly new, make the days you see patients as full as possible. Time spent outside of your exam room can be filled in a number of ways: social networking, working in another office, training staff, reviewing accounts, taking advantage of online continuing education opportunities, etc. My practice loves this new program. Although owned by CooperVision, the LensFerry S subscription service works with many brands of soft contact lenses. Patients pay a monthly fee to have contact lenses shipped directly to their homes, and my practice is paid directly from LensFerry. 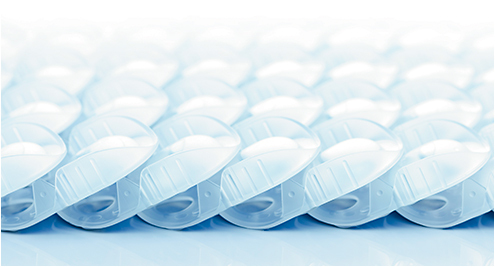 Our sales of daily disposable contact lenses have risen as a result of using LensFerry S. With this subscription service, daily disposables become a reasonable monthly charge rather than a large expense, and, therefore, they are a more attractive option to patients. Additionally, we tell patients who choose to use LensFerry S that their vision insurance can then be better used to purchase a new pair of glasses at our optical shop. 3. Stay open late once a week. Our office is open on Tuesday until 8:00 pm, allowing us to schedule a final appointment at 6:30 pm. Appointment slots from 4:00 pm to 6:30 pm are in high demand. 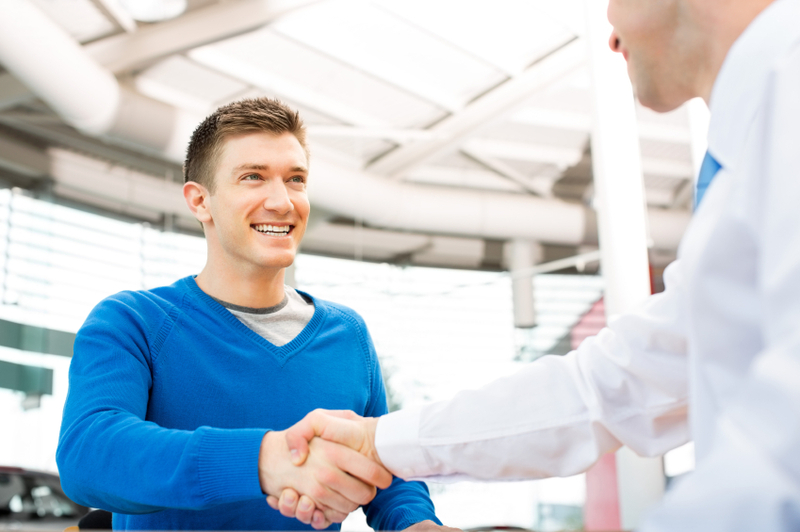 Working patients will love your practice if you can accommodate their schedules. Put yourself in the patient’s shoes: Would you rather have an after-work appointment or take off from your job—assuming you’re even able to do so? Otherwise, you’ll spend a Saturday getting your eyes checked. 4. If you have an OCT or retinal camera, use it. My office performs free retinal scans for every patient undergoing cataract surgery. In the event that postoperative macular edema issues are identified, I then have preoperative and postoperative scans I can use to compare anatomy. If you have a retinal camera you can use without paying per use, consider taking fundus photographs of young patients who play contact sports. I let parents know I am verifying that no potentially sight-threatening issues are present. I have found a number of retinal injuries tied to sports-related trauma by doing this, and almost all incidents were previously unknown to the patient or parent. Rather than viewing such extra work as giving away free services, consider how these wonderful tools can expand your reputation as a doctor who goes the extra mile for patients. 5. Turn occasional patients into routine patients. Inform patients with vision plans who visit the office every 2 or 3 years for eye exams that they are wasting benefits they pay for. There are a number of web-based programs that a practice can use to monitor when patients are eligible to return for their eye exams. This can save staff time and could also increase the rate at which patients return. Costs associated with such services have fallen during the past few years. Always be willing to try something new, to be wrong, and to teach (and learn from) your staff. Evolution in business is key. If I ran my practice today the same way I ran it when I started 41 years ago, I would rather mow lawns than practice optometry—and I hate mowing lawns! Solo practices may benefit from taking measures to accommodate patients’ busy lives and offer top-rate services. We see many patients with age-related macular degeneration, diabetic eye disease, and glaucoma. These patients are brought in on a separate date before their comprehensive encounter for required visual fields and optical coherence tomography (OCT) imaging; these are performed when staff is not working on regular exams. This takes pressure off of the staff if patients are slow in testing, which may be due to age, health, or both. Likewise, patients are not exhausted by going through ancillary testing, a full exam, and possibly (hopefully!) a trip to your optical shop all in one day. You will also have time to analyze tests more thoroughly before the encounter. WASHINGTON – EyeCare Prime introduced its cloud-based patient relationship management system, Prime Nexus, for improving patient engagement and helping drive practice growth, here at Optometry’s Meeting. 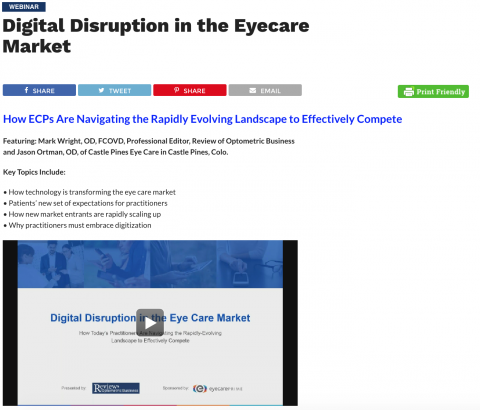 EyeCare Prime, a subsidiary of CooperVision, worked with various eye care professionals for several years to determine what patient engagement features would result in more positive experiences, according to Mark Lindsey, global general manager, EyeCare Prime, in a press release from the company. The platform offers an intuitive user interface and a host of new features to better serve eye care providers and their digitally connected patients, according to the release. 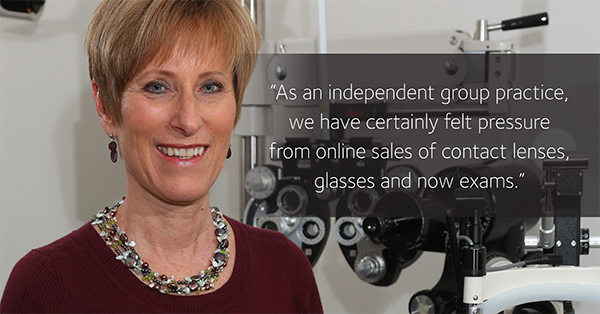 Prime Nexus is a next-generation platform containing the features of WebSystem3 that have been enhanced specifically for optometry, CooperVision spokesperson Heather Kowalczyk, told Primary Care Optometry News. The system improves appointment booking, patient retention and may streamline office efficiencies. It features full sync and write-back appointment confirmations into compatible electronic health records systems. Kowalczyk explained that the online review system sends a text or email to the patient after the exam, requesting that he or she leave an online review. The practice is notified of the review, and it is automatically posted on a separate landing page. PLEASANTON, Calif.—In support of its ongoing commitment to provide basic eyecare to underserved populations around the world, EyeCare Prime has partnered with Optometry Giving Sight to introduce its own philanthropic initiative, LensFerry S Gives Sight, according to an announcement from EyeCare Prime. LensFerry S Gives Sight operates on a 1:1 donation model to support Optometry Giving Sight in its mission. For each LensFerry S subscription, EyeCare Prime will make a donation to fund projects that provide access to vision care for people in need. To date, five million people around the world have benefited due to projects funded by Optometry Giving Sight. In December, the LensFerry team had the opportunity to witness firsthand the impact that school eye health programs can have in underserved communities. In what will now become an annual commitment, the team spent five days in Oaxaca, Mexico, helping to provide eye exams and glasses to more than 1,500 students between the ages of five and 14 as part of the Our Children’s Vision campaign. LensFerry S is a doctor-friendly contact lens subscription service that enables patients to pay monthly for their lenses—from any major manufacturer, in any modality—and receive automatic deliveries of their lenses directly to their homes. The practice that prescribes the contact lenses and enrolls the patient in the service receives the sales revenue as if the lenses had been paid for in-office. EyeCare Prime is a subsidiary of CooperVision, Inc., a long-time partner of Optometry Giving Sight. Over the years, CooperVision’s cumulative support for Optometry Giving Sight has exceeded $2 million. Originally posted in "Contact Lens Spectrum"
In support of its ongoing commitment to helping provide basic eye care to underserved populations around the world, EyeCare Prime, a subsidiary of CooperVision, Inc., has partnered with Optometry Giving Sight to introduce its own philanthropic initiative, LensFerry S Gives Sight. For each LensFerry S subscription, EyeCare Prime makes a donation to fund projects that provide access to vision care for people in need. To date, 5 million people around the world have benefitted thanks to projects funded by Optometry Giving Sight. 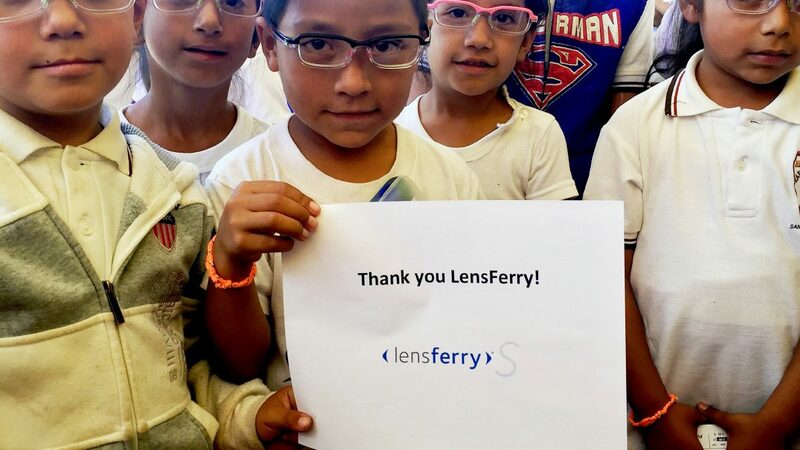 And, in what will now become an annual commitment, the LensFerry S team spent five days in Oaxaca, Mexico, helping to provide eye exams and glasses to more than 1,500 students between the ages of five and 14 as part of the Our Children’s Vision campaign. Want to learn more about LensFerry S? Complete the form below. Insight: Sleep technology advances poised to take the mainstream by storm. How can optometry participate? PLEASANTON, Calif. — Where else can you preview Tom Brady-endorsed high tech sleepwear, see your every move from the past evening as you tossed and turned, and be promised the benefits of two-hours of deep sleep in only 20 minutes through brain wave adaptation? CES 2017 offered this and more, as SleepTech took over acres of exhibits in Las Vegas. EyeCare Prime’s Shaun Schooley was on the show floor, and saw firsthand the impact that holistic wellness and health will have on consumers. As SleepTech goes mainstream, they’ll expect their healthcare providers to be knowledgeable about the various factors that contribute to restorative rest – including the effects of and ways to mitigate harmful blue light exposure, while also not diminishing its much-needed qualities. Insight: Savvy retailers transferring energy from low-value transaction for high-value experiences. So can optometry. PLEASANTON, Calif. — Who wants to waste time shopping at retail for kitchen staples, pet food and toiletries? Based on what EyeCare Prime’s Shaun Schooley saw in the halls of CES 2017, fewer and fewer consumers. Automated ordering, scheduled home shipping, and even predictive deliveries for commonly-consumed goods is on the rise. Just-in-time has entered the consumer realm. 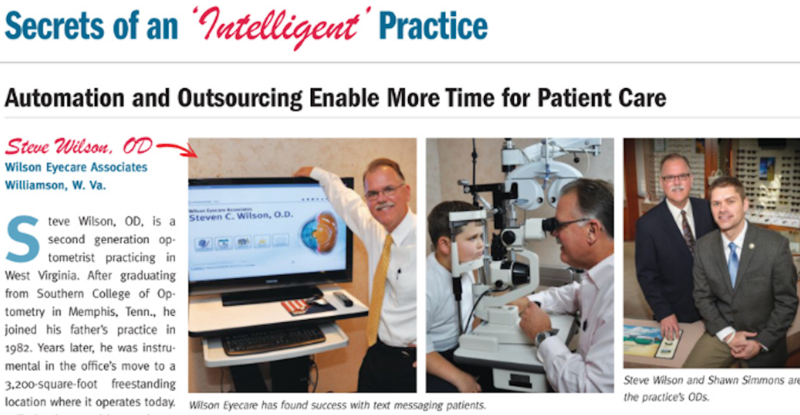 Where does that leave optometry, with its sales of contact lenses, supplies and other products that enjoy solid margins yet also require significant time expenditures from practice staff and patients? Like supermarkets who are moving from selling groceries to supplying richer experiences such as learn-to-cook classes, some practices are poised to do the same. Automating their lens and supply sales through LensFerry frees them to refocus staff energy on higher-potential opportunities, including growing specialty areas such as sports vision, migraine treatment, nutrition and digital eye fatigue. Insight: Mobile refraction costs plummet, availability on the rise. Optometry practices can lean into the wind to deepen patient relationships. PLEASANTON, Calif. — EyeCare Prime’s Shaun Schooley was no more than a few hundred feet onto the massive CES exhibits floor when he came across the first mobile refraction technology – one of many being promoted in Las Vegas at the world’s most influential digital gathering. It’s a topic rife with controversy, with practices questioning the safety, efficacy and potential downfalls of such devices in light of their limited capabilities. What was clear amidst the lights, sounds and “wows” of the 3,800 exhibitors was that mobile refraction has crossed the threshold from novelty to an accepted device by the consumer technology community – a harbinger for widespread availability. Combined with plunging costs, these pose a new challenge to optometry practices. Yet there was an encouraging tone during the demonstrations. Manufacturers were quick to note that these were only effective when used in collaboration with eye care professionals – i.e., that the data was more powerful in the hands of an OD, as was patient health. Speculation turned to how advanced, forward-thinking practices may encourage regular use by patients, providing a more frequent point-of-contact to monitor any changes in Rx, but also to open the door for dialogue throughout the year – not only during an annual exam. Insight: Digitally-connected patients and providers are leading to smarter care, business growth and improved outcomes. Optometry benefits too. PLEASANTON, Calif. — When EyeCare Prime’s Shaun Schooley met with various technology exhibitors at the 2017 CES in Las Vegas, one trend was clear: patients and providers are being connected like never before. For general practitioners and some specialists, this is being reflected in patient-centered apps that collect automated and manual feedback on certain activities, feelings and behaviors, feeding them to a practice for analysis and incorporation into care plans. What’s the impact for optometry? Imagine a day when a patient’s wearing patterns, replacement buying habits, complementary product use, compliance behaviors and even proximity to a practice can be integrated into custom care and sales plans. The upshot is a better patient experience, improved outcomes, and thriving practices – and its transition from idea to reality is closer than you may think. Insight: Predictive sales poised to deliver customer convenience, record revenue, extending into new categories including optometry. PLEASANTON, Calif. — EyeCare Prime’s Shaun Schooley spent time at this year’s massive CES exhibition in Las Vegas – the showcase for technologies and ideas set to change the world. One prediction based on what he saw is already taking shape: the reach and impact of predictive selling. Whether it’s a consumer item being staged for faster shipment based on an individual’s past online buying habits, cat litter being shipped automatically to a home because of real-time pet monitoring, or retail stock being replenished based on macro shopper trends and local factors such as weather patterns, artificial intelligence is altering the game. Its reach has extended to optometry – as some of the world’s top media in Las Vegas saw firsthand at the LensFerry exhibit. With scheduled shipments, push messaging, and the availability of nearly any contact lens from multiple manufacturers, it’s setting the stage for a day when ordering and fulfillment will be fully automated, allowing practices to concentrate on patient care and business growth. PLEASANTON, Calif., January 9, 2017 — EyeCare Prime® announced today that LensFerry® S has expanded to include all modalities, bringing the convenience of automatic monthly payments and quarterly or semi-annual contact lens deliveries to a broader spectrum of patients while maintaining a central role for the eye care professional. The service was developed to help practices increase annual supply sales, and includes all major manufacturers’ contact lens brands. When it launched in April, the first-of-its-kind subscription-based ordering service focused specifically on 1-day contact lenses. With today’s announcement, LensFerry® S includes monthly, two-week, and 1-day lenses from multiple manufacturers at eye care professionals’ specified prices. When patients enroll in the service, the annual cost of their contact lenses is divided into automatic monthly payments and they receive a three- or six-month supply of lenses, depending upon modality. The prescribing practice receives the sales revenue as if the lenses had been paid for in-office. Unlike some other direct-to-consumer subscription models, LensFerry® S does not force patients to switch to different contact lenses by requiring them to request only one type of contact lens product. With LensFerry S, the eye care professional retains fitting and prescription control and flexibility for the benefit of the patients’ health and well-being. Early adopters of LensFerry® S have reported up to a 20% increase in annual supply sales in their practices. And according to multiple practices, patients are expressing their satisfaction with the ease and simplicity of ordering their annual supply with convenient payment terms, all from their own eye doctor. Even with this significant upgrade, opening the service to all modalities, pricing to practices will remain the same. This is meant to encourage widespread adoption with the intent of elevating patient convenience and service levels while retaining contact lens sales in the practice. LensFerry® S is available to all eye care practices in the United States. It costs $49 per month, plus $2.50 per shipment. For every completed patient annual subscription through LensFerry® S, EyeCare Prime® makes a donation to Optometry Giving Sight for an eye exam. EyeCare Prime® is a subsidiary of CooperVision, Inc. For more information, visit LensFerry.com. EyeCare Prime is a leading global provider of marketing services created exclusively for eye care practitioners. Our solution combines dedicated experts, strategy, cloud-based patient relationship management/commerce, and digital marketing expertise that enable eye care practices to maximize performance and achieve their vision. EyeCare Prime is a subsidiary of CooperVision. For more information, visit www.eyecareprime.com. The Cooper Companies, Inc. (“Cooper”) is a global medical device company publicly traded on the NYSE (NYSE:COO). Cooper is dedicated to being A Quality of Life Company™ with a focus on delivering shareholder value. Cooper operates through two business units, CooperVision and CooperSurgical. CooperVision brings a refreshing perspective on vision care with a commitment to developing a wide range of high-quality products for contact lens wearers and providing focused practitioner support. CooperSurgical is committed to advancing the health of families with its diversified portfolio of products and services focusing on women’s health, fertility and diagnostics. Headquartered in Pleasanton, CA, Cooper has more than 10,000 employees with products sold in over 100 countries. For more information, please visit www.coopercos.com. Read about LensFerry S on Healio. ANAHEIM, Calif. – Users of the LensFerry S subscription-based ordering service have reported up to a 20% increase in daily disposable contact lens sales since the program launched 6 months ago. CooperVision reported in a press release distributed here at the American Academy of Optometry meeting that LensFerry S users also reported a more than 25% increase in the average selling price of an annual supply of lenses. EyeCare Prime, a subsidiary of CooperVision, launched LensFerry S in April. The service allows practitioners to enroll patients who wear daily disposable contact lenses and divides the annual cost of the lenses into automatic monthly payments and quarterly deliveries, CooperVision said in the release. Contact lenses from any manufacturer can be ordered through the service, and the practice receives the revenue. 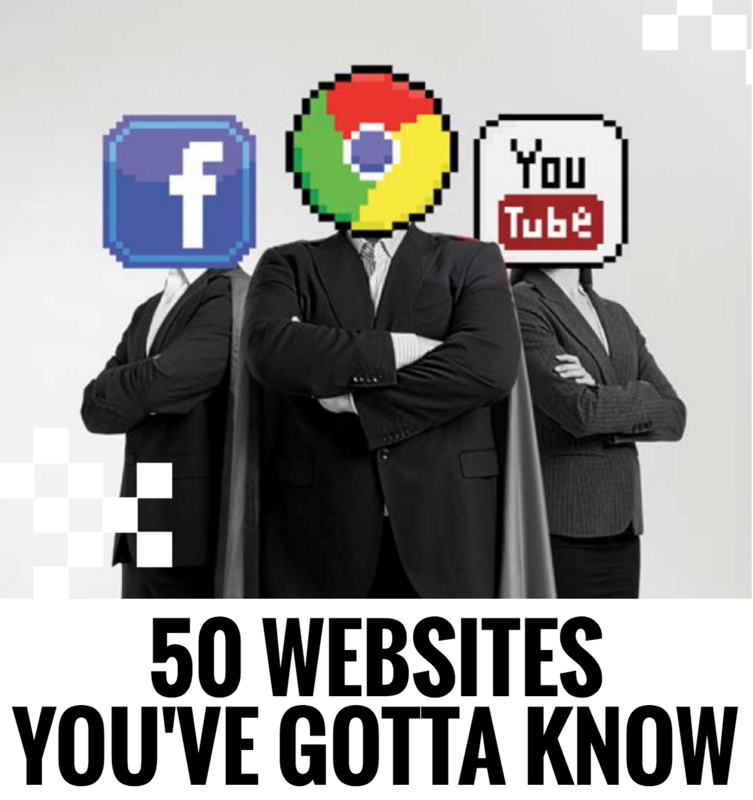 Read the entire article on Healio. Learn how you can keep sales in-house with LensFerry S.
Read about LensFerry S on "Eye Love Subscriptions" originally posted on Eyecare Business. Dollar Shave Club busted onto the scene in 2012, offering a monthly subscription service that made men’s daily function easier—and cheaper—by delivering razors and blades right to their doorsteps. Fast-forward four years, and the company was purchased by Unilever for $1 billion. Like Birchbox, the subscription service for beauty and grooming products that came before it, Dollar Shave Club hit a nerve in consumerism. 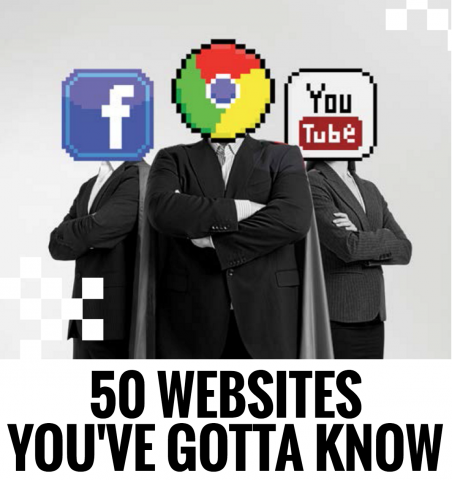 These successful disruptors have since spawned today’s “subscription economy”—and a huge wave of similar services in a variety of product sectors that ring in $5 billion annually. Ipsy (makeup). Graze (healthy snacks). Tea Sparrow (tea). Bark Box (dog treats). Club W (wine). And, now LensFerry S.
CL SUBSCRIPTIONS, TOO? Launched by CooperVision earlier this year as an add-on to its LensFerry ordering process, LensFerry S enables practices to offer patients subscription-based ordering of their 1-day contact lenses. Practitioners also benefit from the predictable, recurring revenue streams a subscription offers—plus garnering sales that may have gone to online discount sellers. THE BOTTOM LINE. The service allows patients to easily upgrade to the newest technology, keeps patients compliant with their contact lens wear, and can boost revenue. 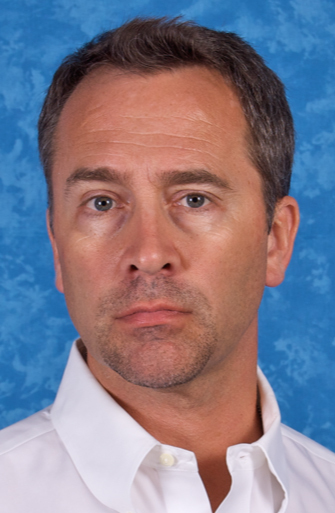 In fact, Kurt Steele, O.D., of Drs. Foster, Steele, and Stone, of Newport, TN, reported contact lens supply sales increases of 20% after he started using the LensFerry S subscription service. Those are sales that might have otherwise gone to online discounters. 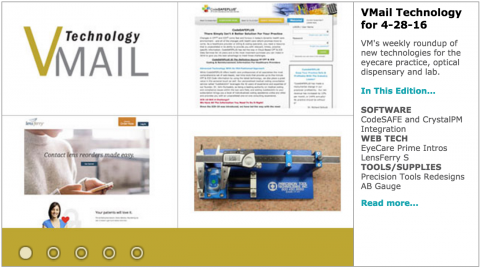 “As technology advances, it’s critical that eyecare practitioners offer services that align with consumer needs to prevent leakage to online competitors,” says Schooley. LensFerry S is listed under “COOL TOOLS: Here are a few ways to get more done (and sell more, too).” on Invision Magazine. This subscription service is designed to help increase your 1-day lens sales and provide your patients with a convenient way to order contact lenses from your practice. LensFerry S allows patients to make month-to-month payments and receive convenient quarterly shipments of lenses directly to their door. In response to the increased frequency with which eyecare practitioners are prescribing one-day contact lenses, EyeCare Prime, a subsidiary of CooperVision, Inc. has launched an additional version of its LensFerry service—LensFerry S. The service enables practices to offer patients subscription-based ordering of their one-day contact lenses. LensFerry S is now available to all eyecare practices in the U.S. Participating practices will have the ability to enroll one-day contact lens wearers in the service, which divides the annual cost of one-day lenses into automatic monthly payments and quarterly lens deliveries. LensFerry S includes contact lenses from all manufacturers at eyecare practitioners’ specified prices, and the prescribing practice receives the sales revenue as if the lenses had been paid for in-office. LensFerry was first introduced last year. The full version of the service is the first and only mobile commerce solution specifically developed for eyecare practitioners. It allows patients to order contact lenses—including monthly, two-week, and one-day modalities—via a mobile device, tablet or computer for direct shipment to their homes. It also includes the ability to send custom-branded email and/or text reorder reminders, text-to-reorder functionality and subscription-based ordering options. LensFerry is part of EyeCare Prime’s flagship suite of services, developed to help eyecare practitioners build and expand their businesses with tools designed to acquire new patients and enable practices to retain and engage with existing patients. The LensFerry S service is available to eyecare practices on a subscription basis; for every completed patient annual subscription through LensFerry S, EyeCare Prime will make a donation to Optometry Giving Sight for an eye exam. Top Line: In response to the increased frequency with which eyecare practitioners are prescribing one-day contact lenses, EyeCare Prime, a subsidiary of CooperVision, Inc. is launching an additional version of its LensFerry service—LensFerry S. The service enables practices to offer patients subscription-based ordering of their one-day contact lenses. Close Up: LensFerry S is now available to all eyecare practices in the U.S. Participating practices will have the ability to enroll one-day contact lens wearers in the service, which divides the annual cost of 1-day lenses into automatic monthly payments and quarterly lens deliveries. LensFerry S includes contact lenses from all manufacturers at eyecare practitioners’ specified prices, and the prescribing practice receives the sales revenue as if the lenses had been paid for in-office. LensFerry was first introduced last year. The full version of the service is the first and only mobile commerce solution specifically developed for eyecare practitioners. It allows patients to order contact lenses—including monthly, two-week, and one-day modalities—via a mobile device, tablet or computer for direct shipment to their homes. It also includes the ability to send custom-branded email and/or text reorder reminders, text-to-reorder functionality, and subscription-based ordering options. Vital Stats: LensFerry is part of EyeCare Prime’s flagship suite of services, developed to help eyecare practitioners build and expand their businesses with tools designed to acquire new patients and enable practices to retain and engage with existing patients. The LensFerry S service is available to eyecare practices for $49 per month, plus $2.50 per shipment. For every completed patient annual subscription through LensFerry S, EyeCare Prime will make a donation to Optometry Giving Sight for an eye exam.